When you're working with a team, use the activity feed and revision history to increase group efficiency and effectiveness. The activity feed is displayed on every project page below the Methodology Progress and is a running log of all the changes to the project. In the project activity feed you can see who made the change, where the change was made, and also when the change was made. 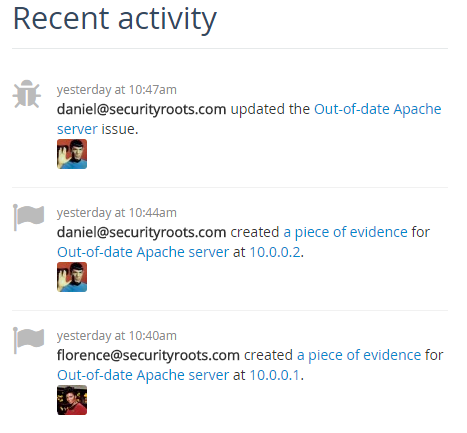 Check the activity feed for any Issue by navigating to the Issue page (e.g. /pro/issues/###). You can view the Issue's activity feed below the Evidence. 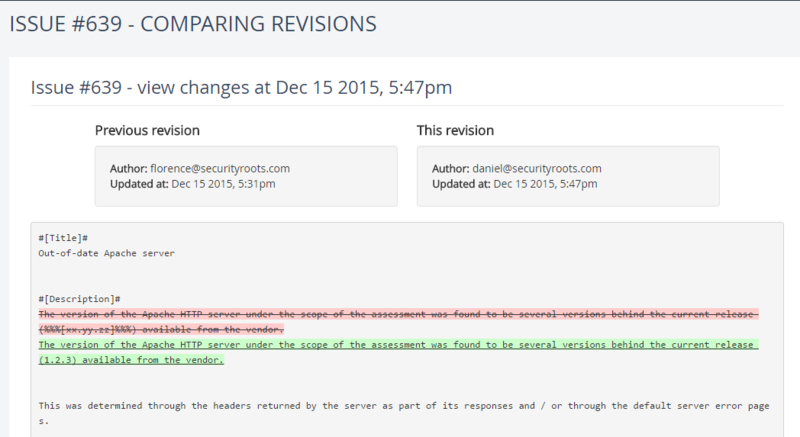 Click on Revision History for a line-by-line breakdown of all the differences between two revisions of the Issue. Additions are underlined and highlighted in green while removals are struck-through and highlighted in red.